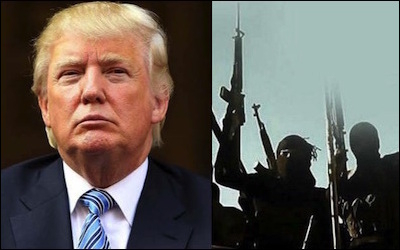 Can Donald Trump succeed in the war on radical Islamists where others have not yet tried? It didn't take long for critics of Donald Trump to cry foul when the Republican presidential candidate announced his plans to "temporarily suspend immigration from some of the most dangerous and volatile regions of the world that have a history of exporting [Islamic] terrorism." Take the reaction of Muzaffar Chisti, a director of the Migration Policy Institute, who told the New York Times: "How would you screen Muslims? There's no mention of religion on the passport. If you go by name, clearly a lot of Muslims don't have Muslim-sounding names." In reality, in most cases, anyone would be hard pressed to find Pakistanis, or Iranian Muslims, Saudis or Somalis who have non Muslim-sounding names. Other critics chose to mock Trump, claiming he was backing off from his December 2015 statement calling for the U.S. to bar all Muslims from entering the country until America could "figure out what is going on." Trump is not the first to propose suspending Muslim immigration. But Trump is not the first to propose such a policy. A Muslim group in Canada, in the wake of the failed "Toronto 18' terror plot, called for a similar suspension. In 2006, the Muslim Canadian Congress (MCC) suggested to Prime Minister Stephen Harper that he suspend immigration from Pakistan, Saudi Arabia, Iran and Somalia, until Canadians officials did thorough security checks of prospective immigrants from these countries. Unknown to many is the fact that security checks of would-be immigrants to Canada are not done solely by Canadian (or U.S.) officials, but also rely on information from foreign security agencies that may themselves be infiltrated by terrorist sympathizers. In 2015, I was invited to make a submission to Canada's Senate committee studying the rise of Islamic radicalism. We [should] suspend immigration from Somalia, Iran, Pakistan and Saudi Arabia until we are assured that the men and women coming here are committed not to the Muslim Brotherhood, al-Shabaab, Hamas, Hezbollah, and Jamaat-e-Islami, but to a separation of religion and state, gender equality, liberal democracy. The ease with which well-placed non-Americans travel to the U.S. as visitors was illustrated by the case of a Pakistani industrialist who owned a fertilizer factory that produced most of the material used by the Taliban in making improvised explosive devices (IEDs) that were killing American troops. Trump is not my kind of a politician, but in a world where almost no one has the courage to call an Islamist an Islamist, perhaps it's time for him to take charge of the world war that Islamism has declared on civilized people. Trump has said that one of his first acts as president "will be to establish a Commission on Radical Islam – which will include reformist voices in the Muslim community, who will hopefully work with us. We want to build bridges and erase divisions." Good luck on this, Donald Trump. This secular Muslim wishes you success.